Are you looking for a reliable family car to drive around town or a car to enjoy road trips with the family? 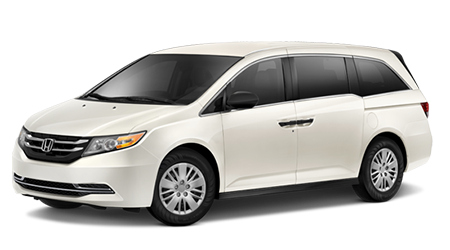 If you are then you're in luck; the Honda Odyssey is the car you want! If you're in the Northern California area, stop by Lodi Honda. Located at 1700 S. Cherokee, Lodi Honda serves Stockton, Elk Grove, Sacramento and The San Joaquin Valley. Features include an internal vacuum, Honda LaneWatch, HondaLink next generation, multi-angle rearview camera, power sliding doors, and Blindspot information Assistance. Honda is known for its safety features and the Odyssey, even a used model, will ensure that your family is safe on every journey. Safety features include vehicle stability assist with traction control, anti-lock braking system, electronic brake distribution, brake assist, tire pressure monitoring system, daytime running lights, front / side airbags, advanced compatibility engineering body structure, and child-proof rear door locks. At Lodi Honda, you can be sure that your used Honda is a Certified Pre-owned Honda. Cars undergo a thorough 150-point mechanical and appearance inspection performed by the dealer. Honda-trained technicians check for internal and external features as well to ensure that they are up to standards. Their technicians will recondition any component that does not meet their standards or will be replaced by a genuine OEM part. To top it off, a limited warranty that covers engine and transmission for seven years/100,000 is added. Wow what a deal! Approval for a used Honda Odyssey has never been easier! Their friendly staff is on standby to assist you with any questions and concerns you may have. You can also go online to their website and fill out an application, Whether you have bad credit, no credit, or are a first-time buyer, Lodi Honda will work with you to ensure you have used Honda Odyssey today! If you're in the Northern California area, stop by Lodi Honda. Located at 1700 S. Cherokee, Lodi Honda serves Stockton, Elk Grove, Sacramento and The San Joaquin Valley. The friendly dealer makes buying a used Honda Odyssey easy!